[Principia College] gave me a good scholarship and the place felt very comfortable. It had a homey atmosphere. Visiting weekend was fun, and I felt better attending a school I had actually seen. I had plenty of qualms about the school, but it was affordable and nice. 2) Did your experiences at Principia impact/influence your views of Christian Science? Yes. 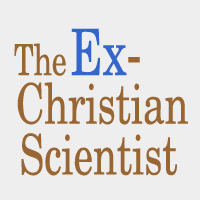 I was a devout Christian Scientist throughout and in the years following Prin. I attributed my disagreements with the numerous people there and the institution itself to a misinterpretation of Christian Science, which I considered a personal religion. I didn’t think it could be regulated in the way the school tried to do. I felt as though it was an intolerant, harmful, and in some cases illegal means of practicing the religion, and I had a hard time reconciling how so many Christian Scientists, who were supposedly praying to God for guidance, could get the wrong answer from God so many times. I also struggled with what I felt to be true and what I thought should be true according to Christian Science. I don’t think I’d redo my time there because I learned so much about the way the world works. It was a microcosm of bureaucracy and mundane evil. Counterintuitively, I might be more naive if I had gone to a more “worldly” college. I met a few great people who are still good friends. We went through a lot together. Maybe I would have had a more ordinary and “better” experience elsewhere, but I’m trying to accept that my weird background is part of who I am. And I do think I got a good education there. I really liked my professors and the place was beautiful with nice facilities. 4) Would you recommend Principia to a young Christian Scientist? This is a hard question. I don’t know if I could recommend it to anyone. It is not a healthy place. A few years ago I might have said yes. There are some amazing opportunities, and many people treasured their time there. But I’m no longer a Christian Scientist and I’ve seen its dark side and seclusion from the world. There are so many of both. One of my best experiences [at the College] was an abroad program to England. It, as well as a field study program to the Southern United States, was magical. Perhaps my most memorable bad experience was when I tried to report a student for harassment and the school proceeded to make everyone involved, except the perpetrator, feel guilty. Many institutions deal abominably with this sort of thing, and in this case there was a special Christian Science brand of victim blaming. I just found your website. Thank you so much!!! I’m going to be reading every word. I was raised in CS by a parent who took a fundament view of the writings of MBE. It’s so hard to explain to people the after effects of being raised this way. I’m in my fifties and still really struggling with it. Thank you so much for doing this work.